Hey! What have you been up to? Watching America’s Next Top Model? Checking out new youtube fails? A little bit of drooling, maybe? I’m not a snob, of course. We all love doing silly stuff: it helps us unwind and releases some endorphin into your system. But most of the times you need to be smart, no matter how joyful you are. Looking for the ways to increase you intelligence? We’ve got some. WARNING, though: America’s Next Top Model might never be the same after this. College classes and university seminars are cool, no doubts. You get a chance to talk to academically-minded people, tackle compelling philosophical subjects and practice sophisticated language. However, it’s just a single group of your brain “muscles”. Flex a different one. Go street-smarts. Build a rocket. Cook a dish from Mongol cuisine. Learn how to make a kite. Acquire a new skill, all in all! You’ll be surprised, how it might change the way you look at the ordinary things. And your overall brain fitness will increase far and away. Well, not Freud’s “it” specifically. However, if it’s new to you – then yes, find yourself a listener and talk your heart out. The general idea is to explain the things you’ve learnt to someone else. This way the information will separate itself into convenient clusters, analyzed by you from the point of view of a teacher, as well as a learner. It’s really amazing, how something that used to be unbelievably complicated, gets as easy as 123. And the journey is real fun: now you are to mentor somebody! How powerful you feel, huh? “Wait a minute.. a second ago you mocked youtube fails and now you suggest going back to the Web? Consistency is obviously not your friend, sweety” – you might think. Well, get yourself a bonus point for being attentive, and keep reading, smarty pants. There are tons of valuable information on the Internet. Listen to TEDx talks, start an online course, check the-word-of-the-day, finally! Use your time well, and you’ll get smarter every day! Or Spanish it up. Or Mandarin it up. Whatever. Learn a new language. Although English is now universally accepted, new languages still open dozens of great paths for self-development. A language is a key to a new mentality. You’ll be able to understand the world better and inevitably find new friends. Give it a try. Although it might be difficult at first, you will definitely enjoy the drive that comes afterwards. 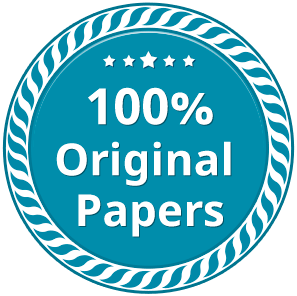 PapersMaster has loads of great stuff to offer. Helpful tips, awesome posts and excellent writing service. Use the advice and feel free to contact us in the hour of need!